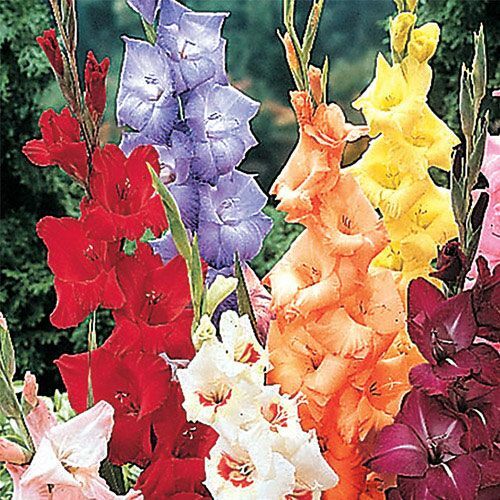 A vivid mix of red, yellow, pink, two tones and more make a dramatic addition to your garden. Dig bulbs for winter storage. Flower FormOne long whip-like stem which bears up to 23 florets. Winter CareLift in northern areas for winter storage. Remove stems from corms, dust with a fungicide and store in a dry area. 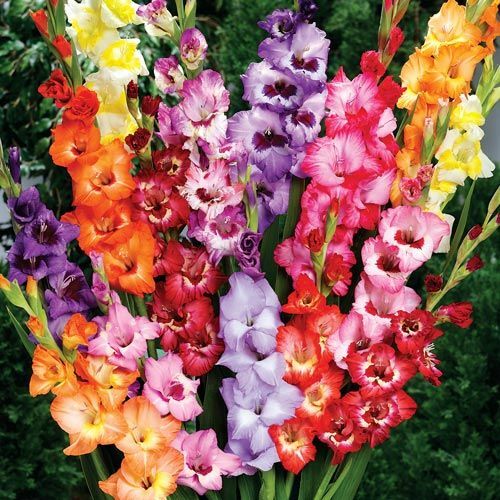 Additional InformationSmaller corms or bulblets take more than one season to produce blooms. Planting InstructionsPlant 6" deep and 4-6" apart. Avoid wind-swept areas. Could plant near a warm wall to extend hardiness, in some cases to zone 6.